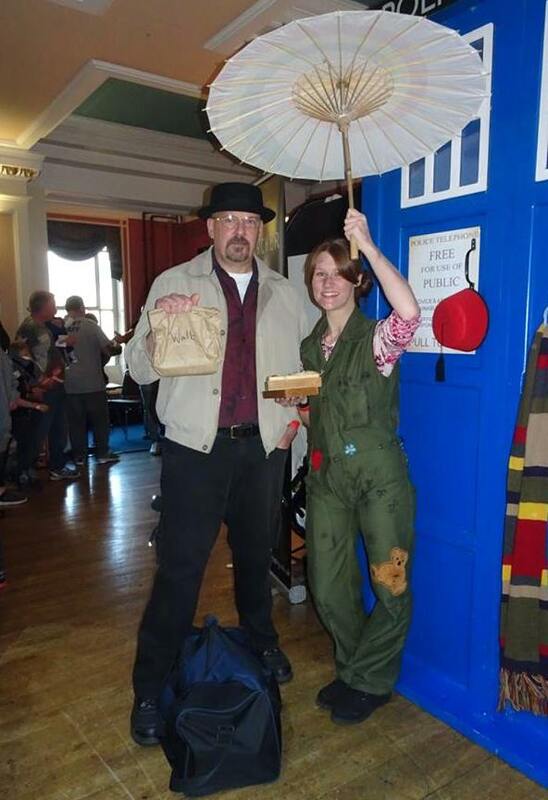 Jayne Cobb was my first cosplay, at my first comic con, in 2015. 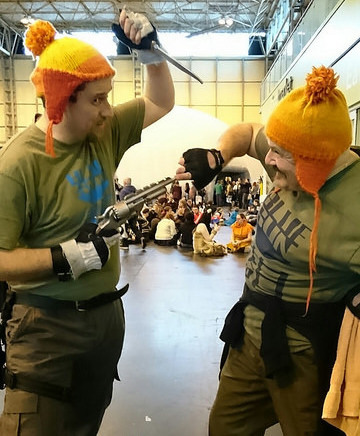 I'd only just heard of this cosplay malarkey and, having looked online and seen the creativity involved, I wanted to check it out at a con. Unsure as to how that would work out, I didn't want to invest heavily, but as a FIrefly / Serenity fan I already had a Blue Sun t-shirt, and had knitted a cunning hat for myself several years earlier. So all I needed for a basic Jayne Cobb cosplay was a pair of combat pants and a boots. I have plans to make replicas of Binky, Boo and Vera. Following that first con I wanted to do more and it was suggested to me that I might cosplay Bane and, while looking for reference material, I stumbled across a guy on Etsy selling latex casts of the mask. He was selling painted and unpainted versions and I figured that the unpainted version would give me a starting point... but it's a fantastic sculpt, well cast, and it fits me! So all it needed was for me to paint it and there's really not much else I could do to improve it. The vest is another item that I found and purchased while researching. I would like to make a more accurate version given that I've now cosplayed Bane at a number of conventions and it always goes down well. However I anticipate that the cost of all the materials needed to make one from scratch could easily exceed the cost of this ready made item, and that's to say nothing of the time it would take. I might just modify this one instead, to get rid of that damned zipper up the front. Heisenberg is my latest cosplay and finding a pork pie hat that would fit on my 2XL head wasn't easy. The jacket I found on a market and the glasses are actually my prescription reading glasses. I've dyed my beard... as I also do when I'm cosplaying Jayne, because mine is now so grey it's almost white. 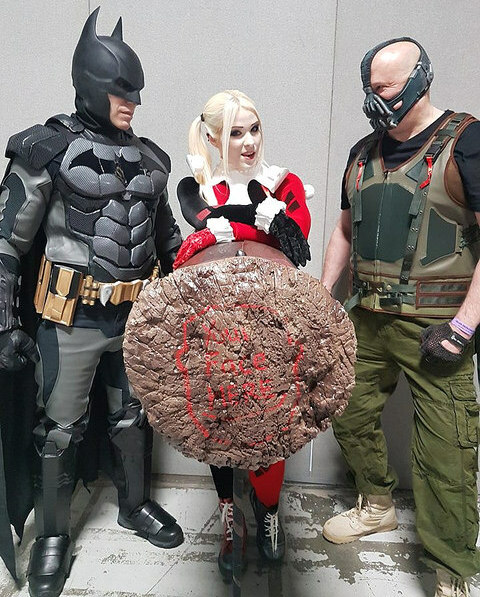 The hardest part of this cosplay has been cooking up some blue meth (rock candy) to had out to people. I've had four attempts now and cannot get descent descent sized crystals... and one time it turned green!